People that blog well on vacation and compose their thoughts well and photos well quickly are the subject of my envy currently. It is time to catch up a little! Now is the perfect time since we are at a Laundromat. 🙂 Last you knew, I passed out into a coma for the night following my 50k race. Day 5– Time to leave Toledo and head up the state of Michigan to St Ignace to camp at a state park I’ve stayed at many times as a child. We stopped a few times to keep the legs functioning and to show Paul a few other things from my childhood. 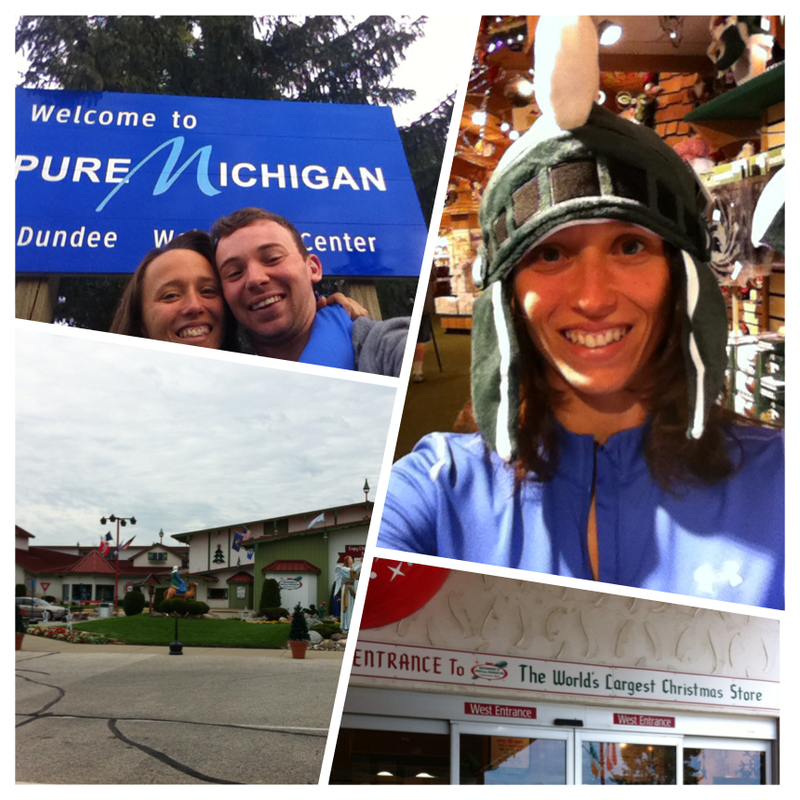 We stopped by Frankenmuth, MI at Bronners, the world’s largest Christmas Store… (if you love Christmas, maaaaaaaan this is the place to go!) where we stretched out legs and acted like children a bit before we drove through the German-style town on our way back to the interstate. 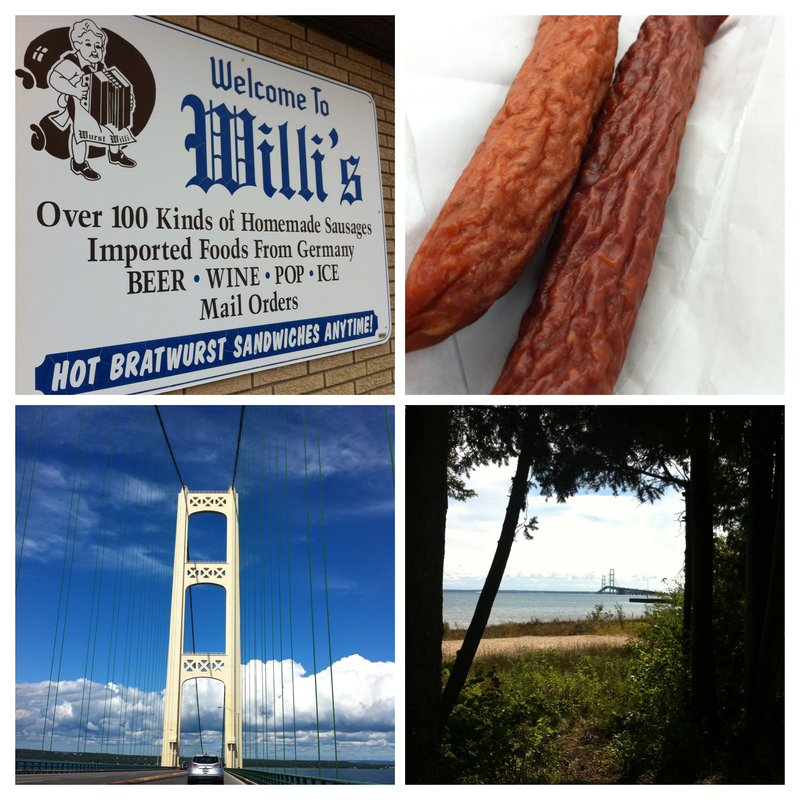 Our tongues started watering at the idea of some sausage so we stopped by Willi’s Sausage Co. and picked up some sticks (elk, landjager, and ukranian) to devour on the way out of town. The Landjager was our favorite peppery and delicious. 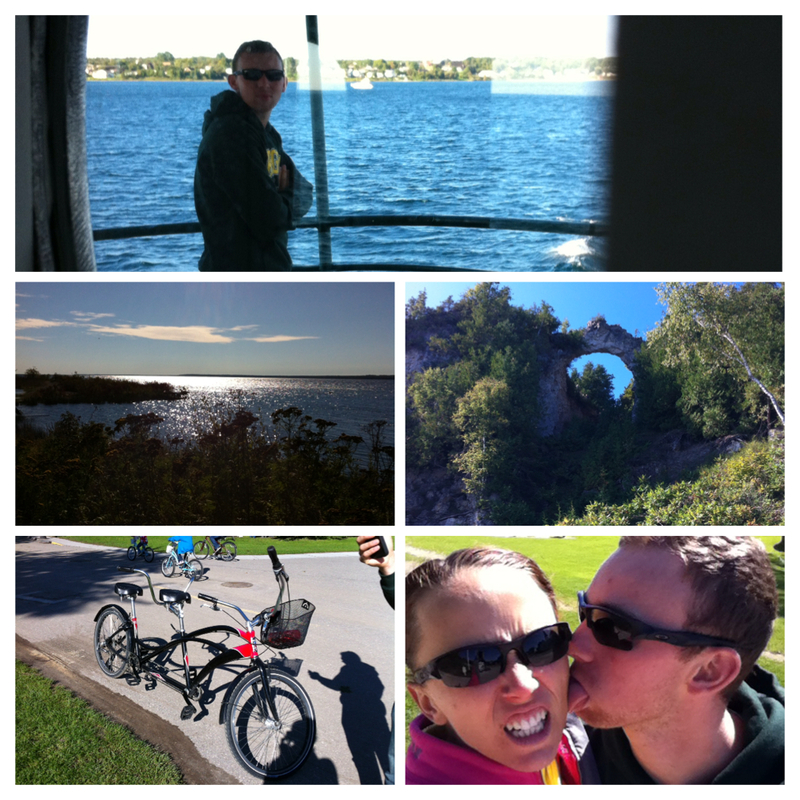 We continued the journey north and really, before we knew it, we made it to the bridge. I lit up like the Fourth of July with enthusiasm as we went over, checked into our campsite, and then I saw the view from my campsite. That view ❤ Best view ever!!!!!!!!! 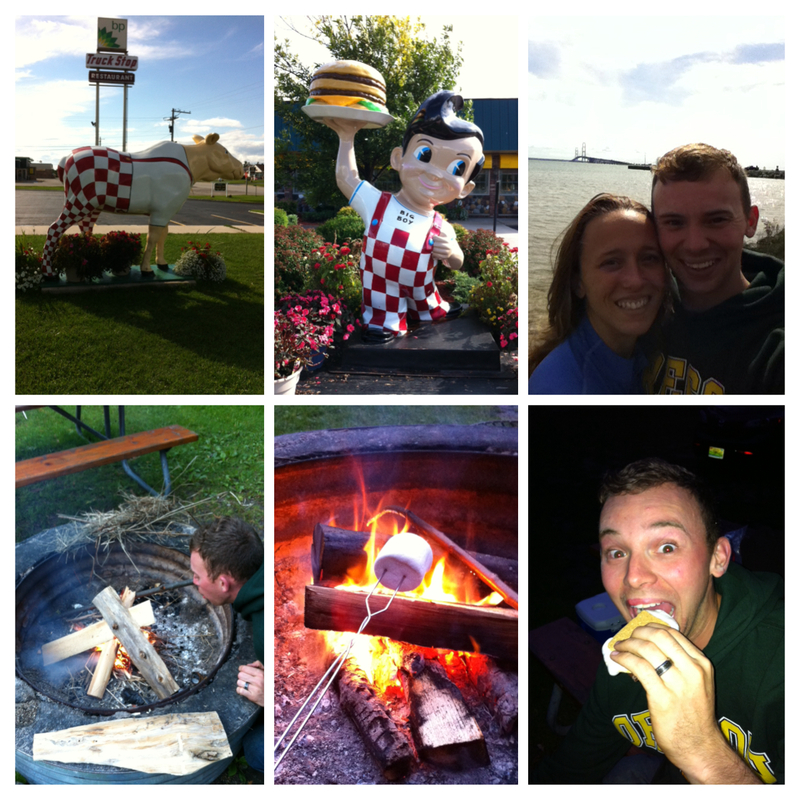 We went to Big Boy for dinner (where I blogged about day 2 and day 3) and then bought firewood on the way back to our site to relax for the evening. Paul showed off his boy scout skills and built a fire and before long we were enjoying smores! We played a couple card games and went to bed around 1030. 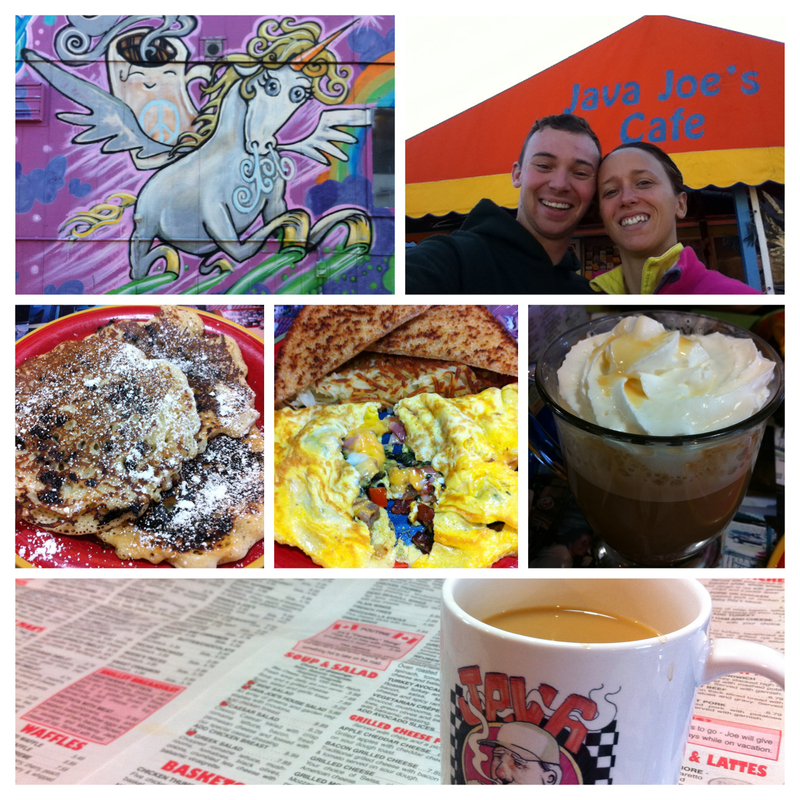 Day 6 takes us to a breakfast spot called Java Joe’s Café with it’s newspaper menu far more extensive than I imagined it would be and it’s teapots and cookie jar collection… Eclectic atmosphere, delicious coffee, and delightful food. We enjoyed it so much we were discussing returning for dinner, but no such luck. They were closed for dinner M-Th. 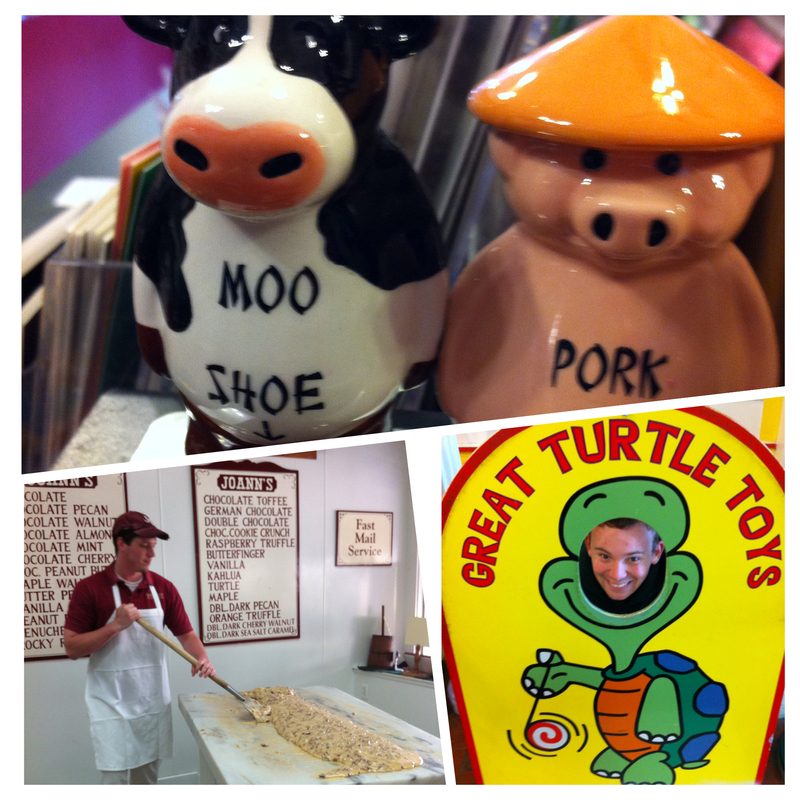 We perused the various fudge shops and sampled plenty before deciding upon chocolate cherry and vanilla pecan from Ryba’s. 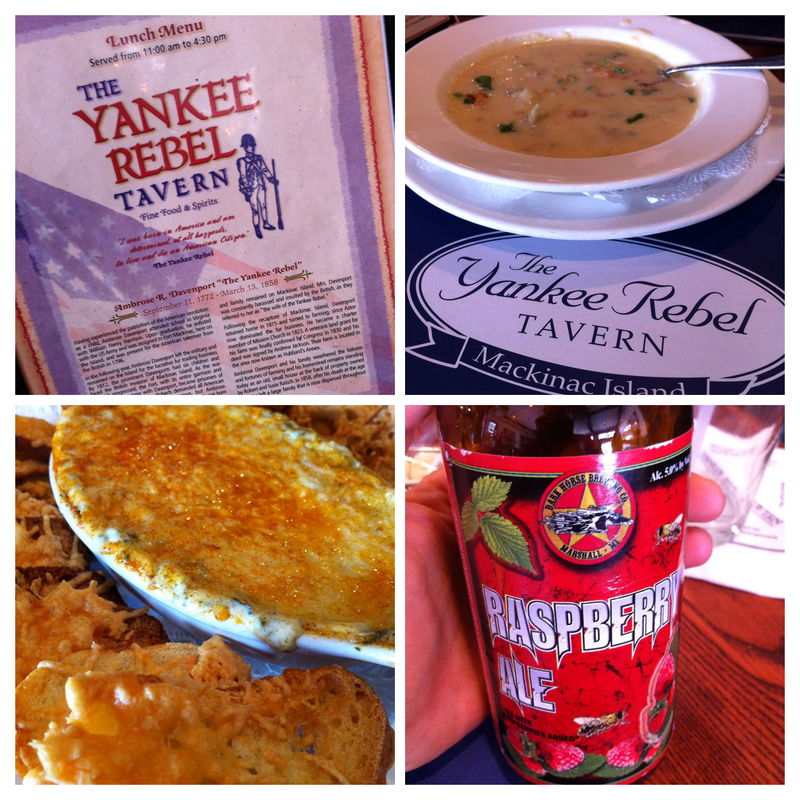 We browsed many of the shops before stepping into Yankee Rebel Tavern. We enjoyed spinach artichoke dip and potato leek chowder. Paul had a raspberry ale with it but I don’t know where the raspberry was. We enjoyed the sunshine and waited for the ferry to come back to get us. It was time to eat at Clyde’s! I remember the large burgers and deliciousness from yeeeeeeeeeeeeeears ago! Folks, I would be lying if I said it wasn’t delicious in all of its greasy glory. We went back to the site, showered, had a baby campfire to use up the wood, and went to bed early after an episode of Supernatural since we had to wake up at 4am. 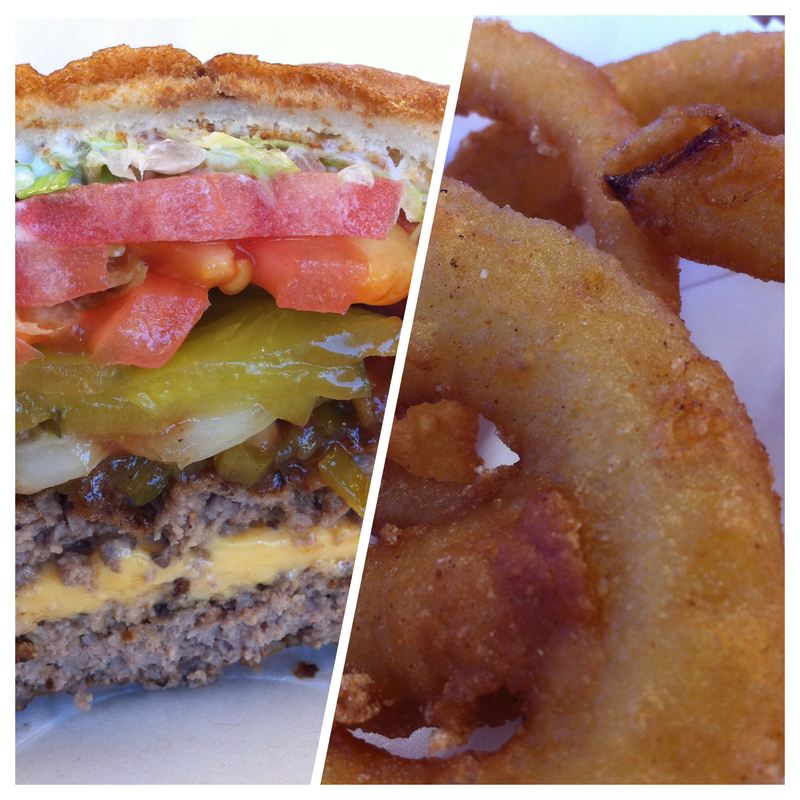 Where is the best burger you have ever had? Ever rode a tandem bike?